This sports facility in Pie de Pato serves as shelter for some of the families that arrived fleeing the combats others stay in family houses in this and other towns near the area. Displaced people wait near the shelter for a helicopter to land waiting for aid. A woman walks near an improvised water tank and kitchen in a camp near the shelter. A displaced elder waits inside the shelter, she has been displaced over 4 times in the last 2 decades. 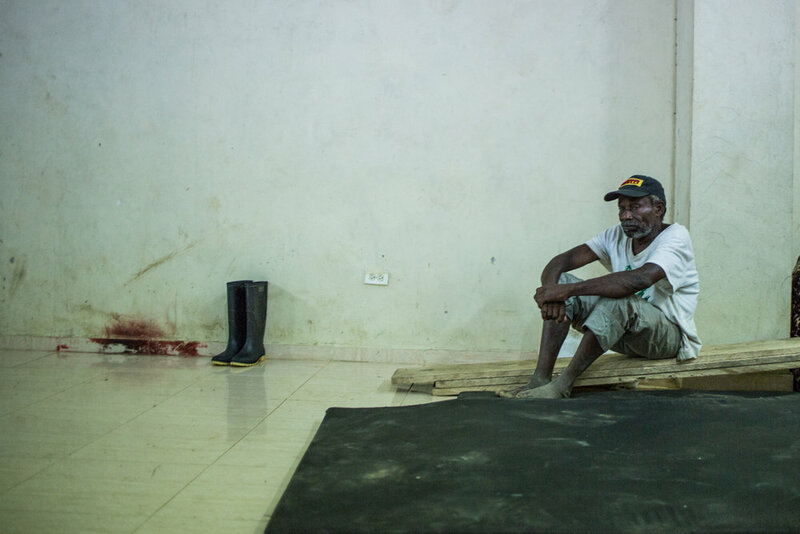 A displaced sits inside the shelter where the displaced persons are sleeping since March 3. Kids from a displaced indigenous community lay down in the shelter of Pie de Pato town. 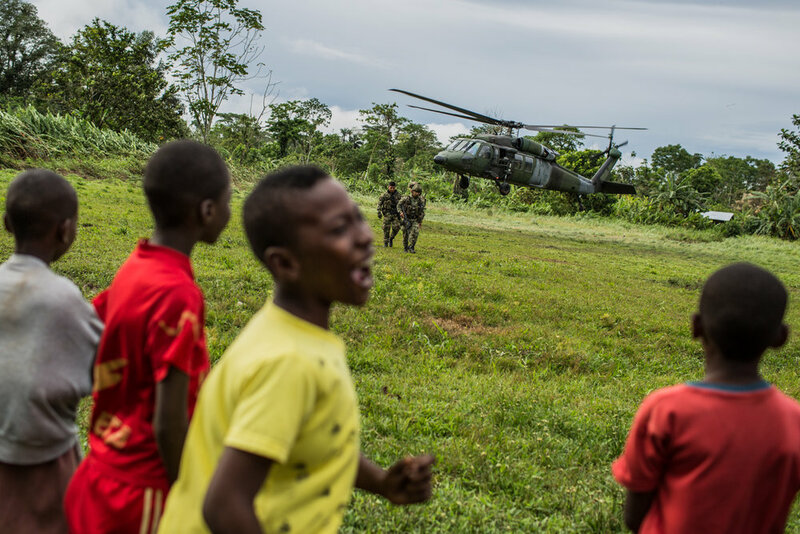 Kids wait for the arrival of a Colombian army helicopter that is transporting 2 Generals that are going to talk to the community and leave troops to the area. A displaced woman hear to Army Generals talk to the displaced people about increasing operations in the area to guarantee their safe return. 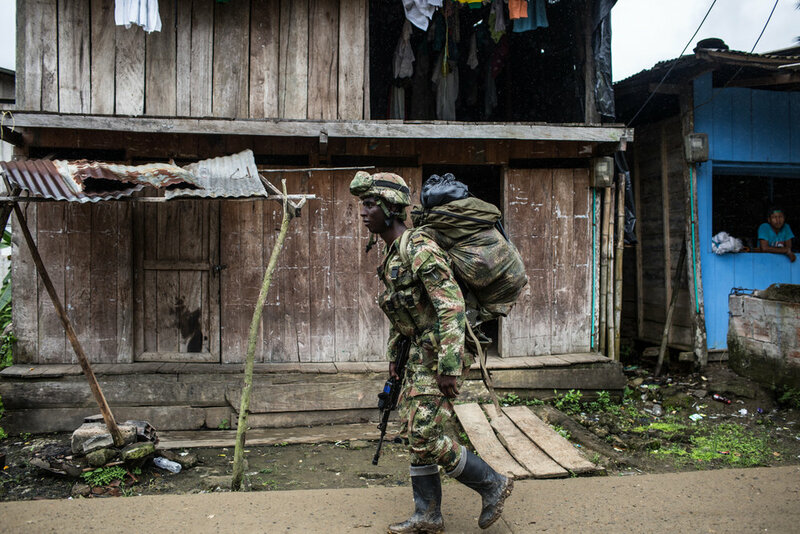 An army soldier patrols Pie de Pato town, where displaced persons have arrived. 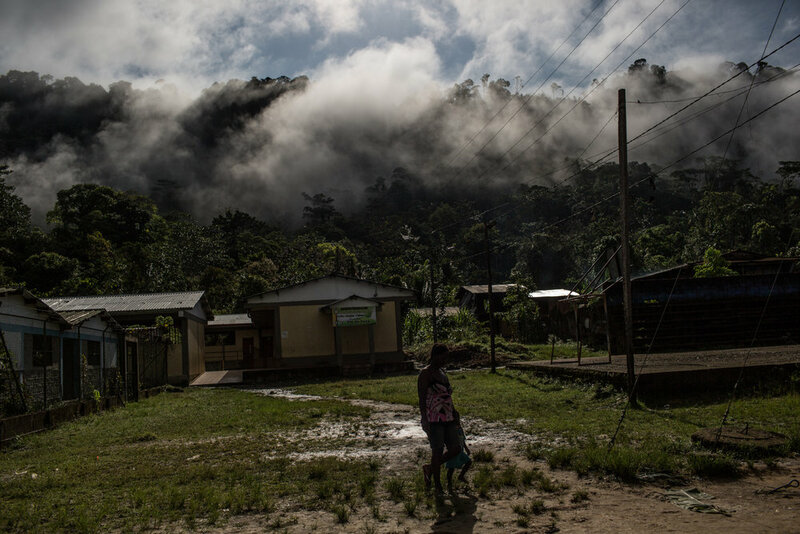 Members of a displaced indigenous community arrive to the shelter in Pie de Pato. A displaced child waits in the local library of Pie de Pato that serves as a medical facility to attend the displaced person that arrived. 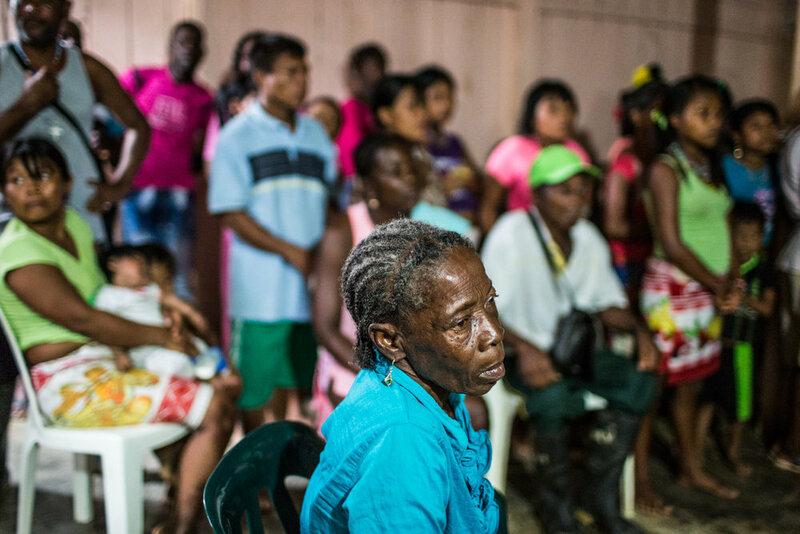 A regional government medic in Pie de Pato attends a displaced man. A regional government psychologist makes an activity to the children of the displaced communities. Displaced women prepare dinner in an improvised kitchen. 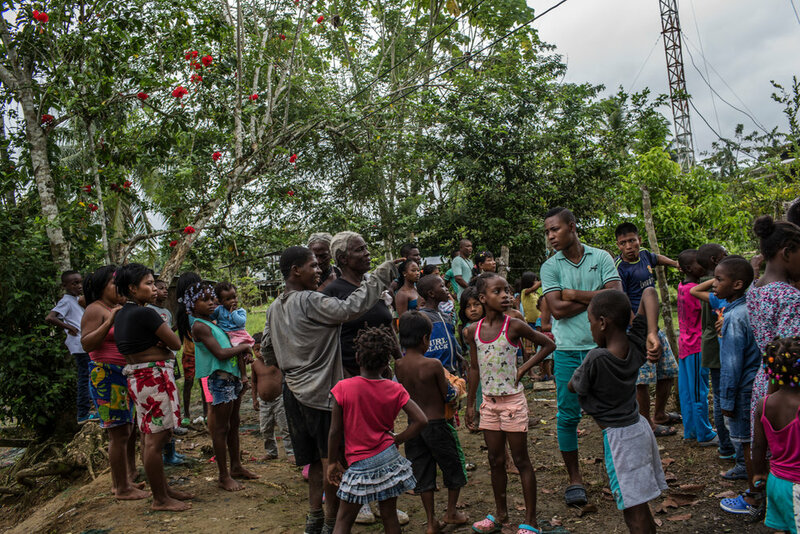 A group of displaced people wait in the park of the Pie de Pato. A mother and her children walk near the temporary shelter of Pie de Pato. Displaced children wait near a helicopter that landed near the shelter. Pie de Pato is the small village where a large number of over the 500 persons displaced arrived.